Imagine the smile you want then come in to speak with our friendly staff who can recommend the best care plan, designed especially for you. Anchorage Dental Care offers a range of quality and family-friendly cosmetic dentistry services for Mindarie, Joondalup, Clarkson, Butler and the Northern Perth surrounds. Whether you are looking to repair a chipped or worn tooth or you simply dream of attaining the perfect smile, our team of caring and knowledgeable dentists provide affordable dental veneers treatment to help you achieve your goals. 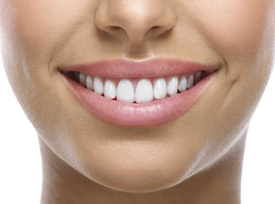 Our teeth can often become discoloured or shift and chip over time. Veneers are very thin new tooth surfaces that are custom made to fit your teeth and address your particular condition(s). Made from porcelain, they are bonded directly to the tooth surface to whiten and/or align teeth, close up spaces, repair chipped or damaged teeth, or cover tooth enamel that is worn from the aging process or from teeth grinding. covering tooth enamel that is worn. If you are suffering from any of the above-named problems our team at Anchorage Dental can help you. Our professional dentists will evaluate your individual needs to find out what service is best for you. We will guide you through this process, every step of the way. Call our dental practice today to schedule your consultation and find out if veneers can give you your perfect smile: (08) 9407 7888. Our friendly staff can recommend the best care plan, designed especially for you or schedule your consultation and find out if veneers can give you your perfect smile. Our friendly staff can recommend the best care plan, designed especially for you or schedule your consultation and find out if veneers can give you your perfect smile.